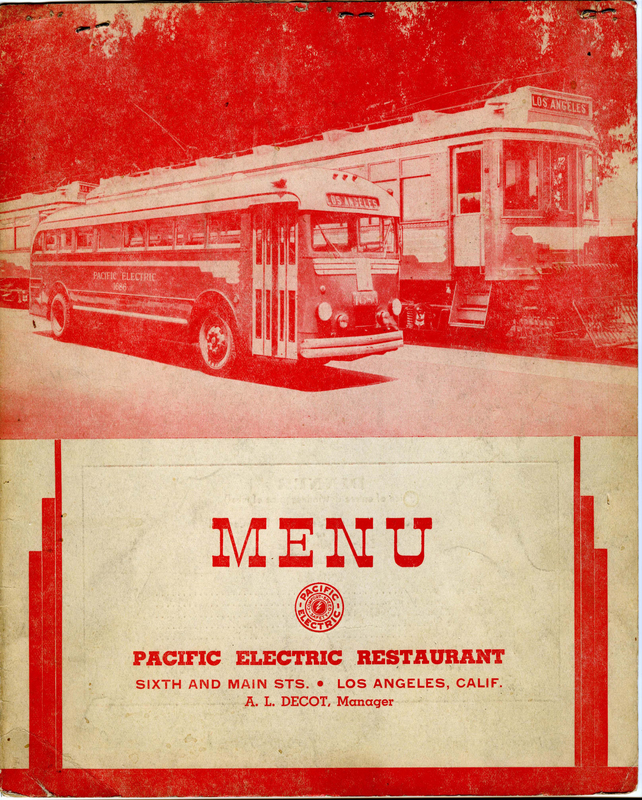 Here is another menu from Pacific Electric’s 6th & Main Street restaurant. what was essentially a lunch counter operation. 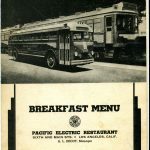 It was my understanding that Southern Pacific had a dining facility on upper floors. Perhaps some items were prepared there and sent down by some system (dumbwaiter, vacuum tubes, REA?). Can’t see this counter area handling a rush hour crowd for full meals. Anyone got an answer? 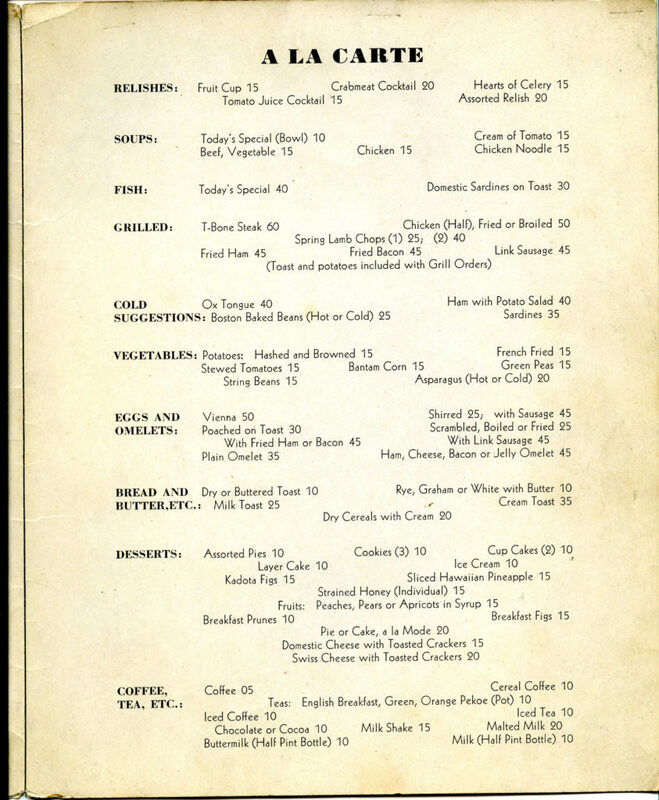 Know exactly where the c.1906/11 “PE Grill” was sited in the building? 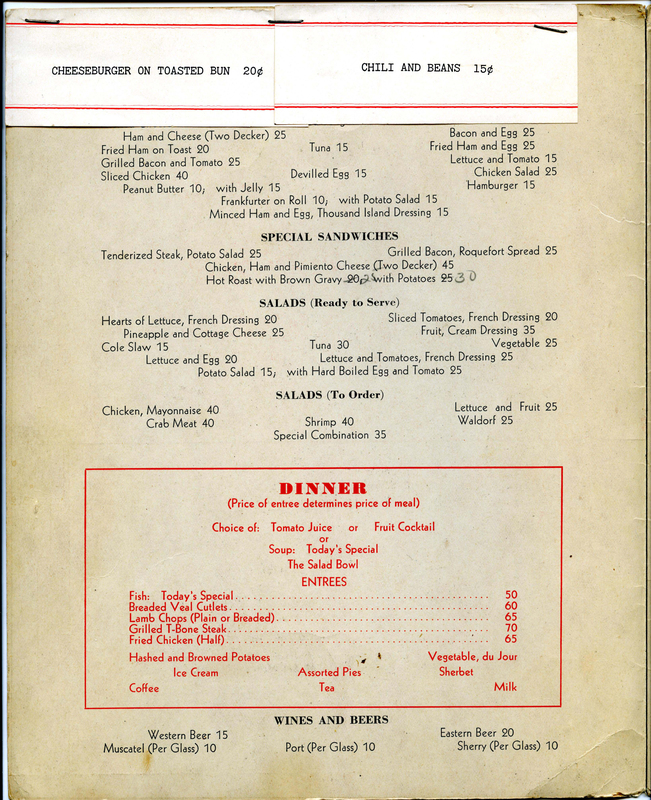 Do you know the year of this menu? Yorkman, I can’t tell you the exact date of the menu, but the name “A. 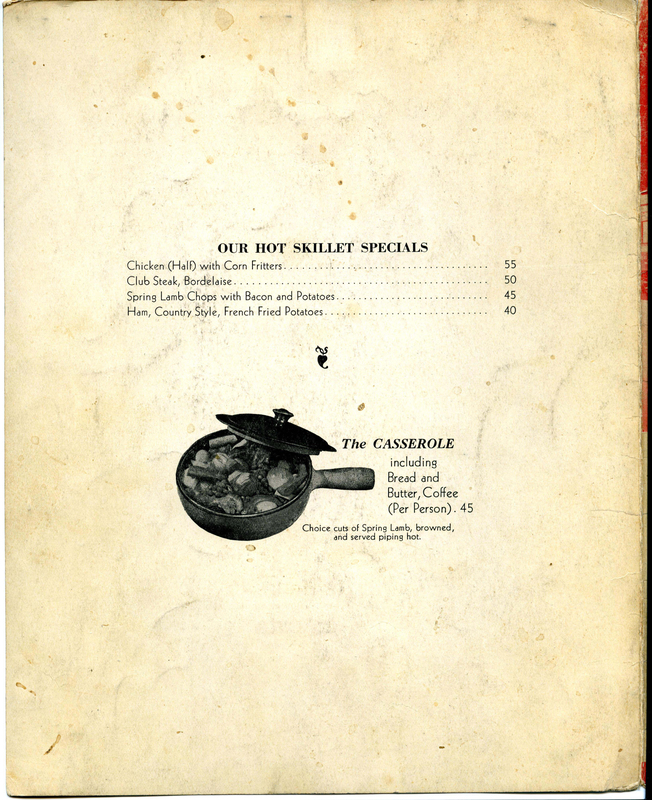 L. Decot, Manager” on the cover is possibly the same as a man I found in the 1940 U.S. Census living in Hollywood named “Andy L Decot. 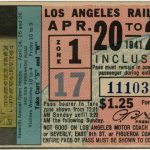 '” He identified himself as a “Soda Fountain Manager” employed by a “Steam railroad Subsidiary.” His WWII Draft Card, dated 16 April 1940 shows his employer as Southern Pacific Co. So it’s not a definite match, nor does it give us the exact answer to your question if it is the same guy, but for what it’s worth.